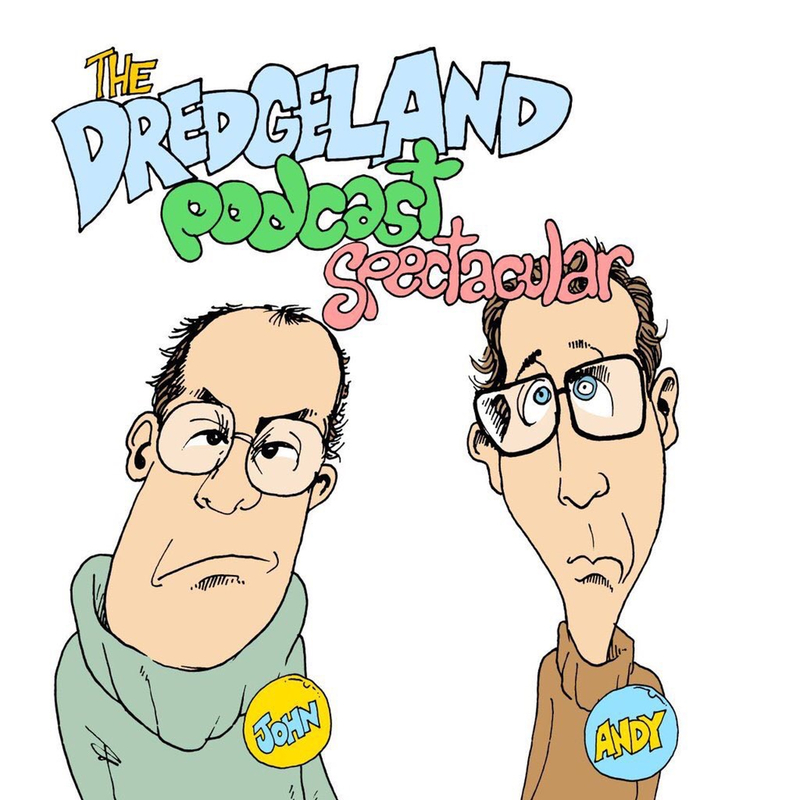 DredgeLand fans of across the world and beyond.. Your heroic and somewhat demented hosts have been delayed this week, so your usual broadcast has been temporarily filled with a series of guest presenters whilst John and Andy made their way into the studio. Enjoy the expert opinion of Eric and Derek Huuuuuuuuuunne and gasp at the brilliant interview skills of Steve Cram as he meets top celebrity impersonator Terence Stardom and his tiny little friend Jeremy Thorpe. We’ve cover from Bob Teddington from Shepperton and his dad Cyril plus some very special rock and / or roll stand-in’s throughout. Hopefully we’ll be back to the usual format next week!